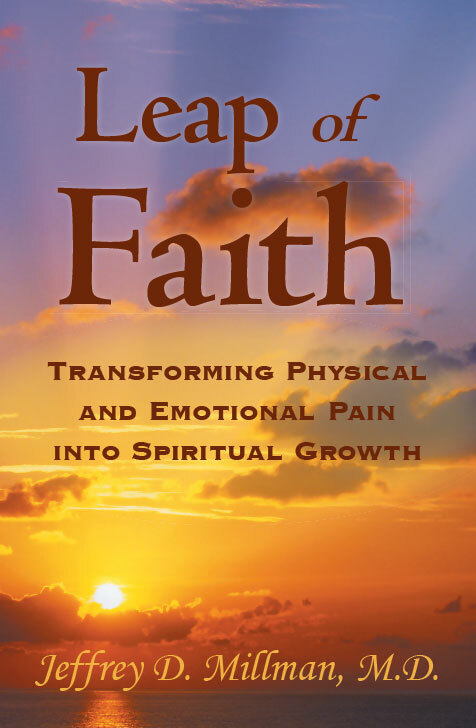 Leap of Faith: Transforming Physical and Emotional Pain into Spiritual Growth - Jeffrey D. Millman, M.D. Did I Cause Myself to Get Cancer? Everyone experiences pain. Illness, aging, and emotional distress touch all of our lives. We all have a soul, or higher self, that has come into human form to have life experiences. These are designed to provide us opportunities to learn. We are here to grow and evolve. It’s from pain that we grow. Rather than being afraid or overwhelmed by life’s challenges, we can learn how to connect with our higher self, using our intuitive mind. Making the leap of faith to use our sixth sense to bypass our rational mind and receive inner guidance promotes improved health, greater happiness, and peace of mind. Using case histories accumulated over forty years of practicing family medicine, Dr. Millman discusses many different illnesses and emotional issues and the specific lessons each one presents. He uses his holistic and spiritual approach to healing to make sense of the death of our physical body and the transition of our spirit to the other side.